The Structure Animator (StrAnimator) animates your Minecraft structures and all structures of the Instant Structures Mod (ISM). Both programs were developed by MaggiCraft. Choose a structure, position it and capture a screenshot and start recording a video or GIF. It’s the optimal tool to create videos or GIF to present your structure. The picture above shows basic properties to animate a structure. You can enable/disable the animation, rotation or to render a ground. Below this properties are multiple text fields. Use these fields to manipulate the position of the animated structure. You can change the direction of view, position and rotation. All attributes can applied to the X-axis, Y-axis and Z-axis. 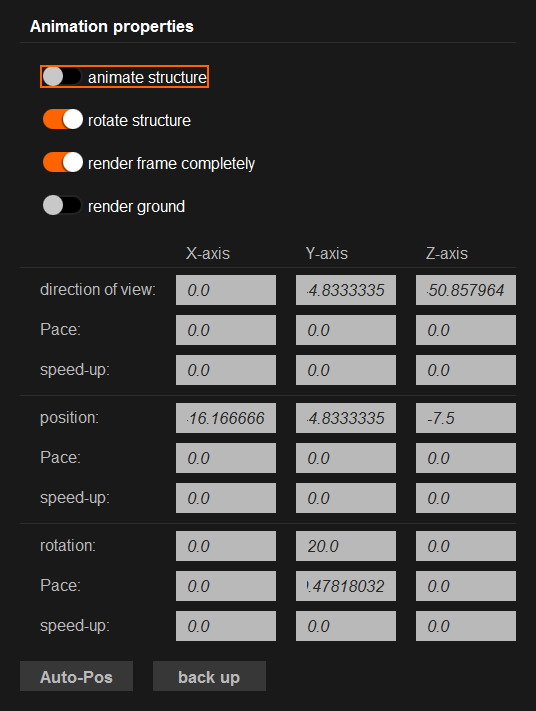 You can set a static direction of view, position or rotation or set a pace and even a speed-up. Click on the Auto-Pos button to trigger an algorithm that places your structure properly. Read more information on the official website. The picture above shows the properties to record the animated structure. You can take a screenshot or enable multiple screenshots. Don’t forgett to disable this option after a while because it can save dozens of images on your disk per second. Record a video, enter the video width and height. 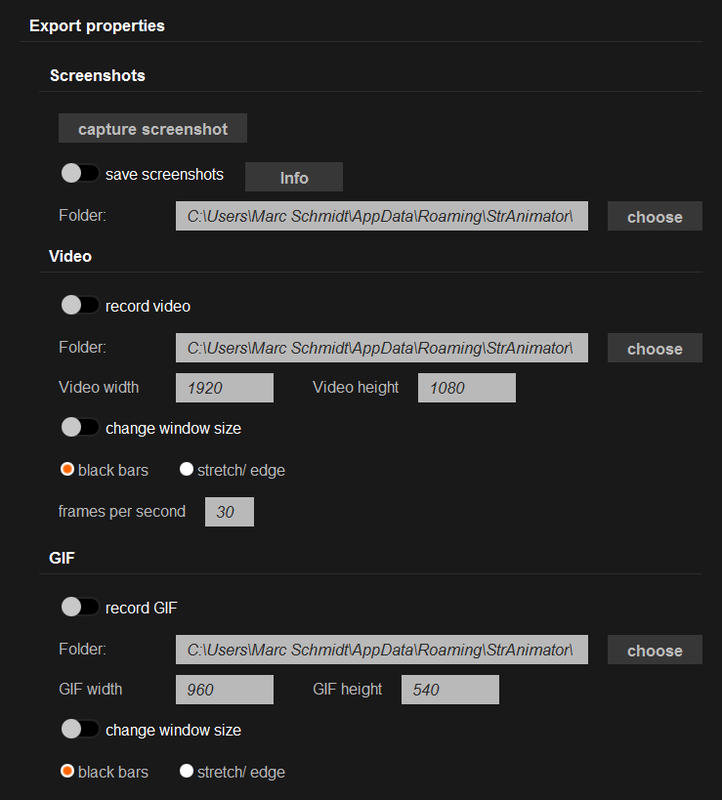 Select a mode to scale frames, if your animate window doesn’t match the video resolution. Frames will be scaled proportional by default but you can select “stretch/edge” to fill the resolution completely. Record a GIF and select very similiar options like if you record a video. These options are width and height and the scale mode. You can choose a directory to save screenshots, videos or GIFs.